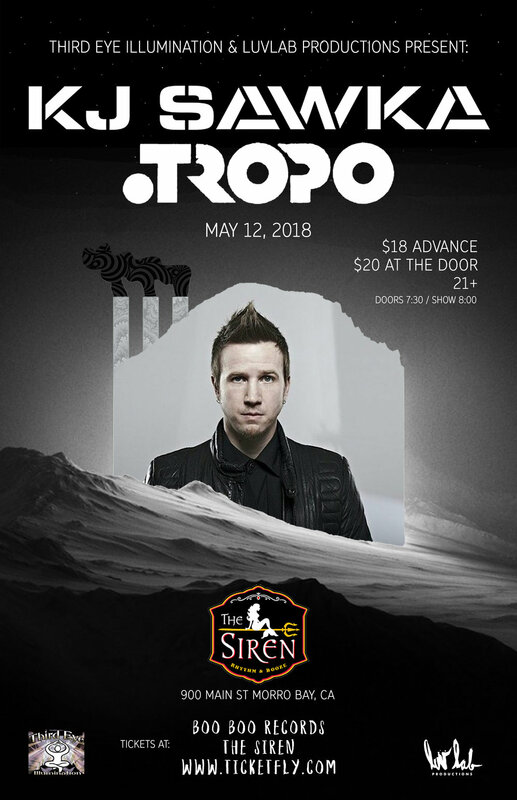 WIN TIX: KJ Sawka & Tropo — Big, Big SLO! Third Eye Illumination is bringing KJ Sawka to the Siren in Morro Bay, and here's your chance to win tickets! Thank you. We will notify winners via email no later than 9:00PM 5/10/18. Thanks for supporting live music! Drawing Date for this Giveaway is 5/10/2018. Winner will be notified by email before 9pm. Win tickets to the Cheeseballs at the Siren!